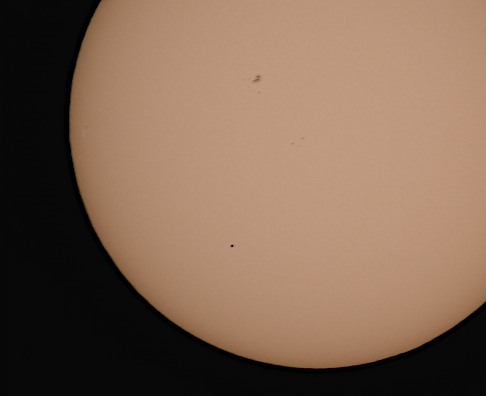 About 8:58 AM EDT this morning, Mercury (The round black dot) is seen beginning its transit in front of the sun. 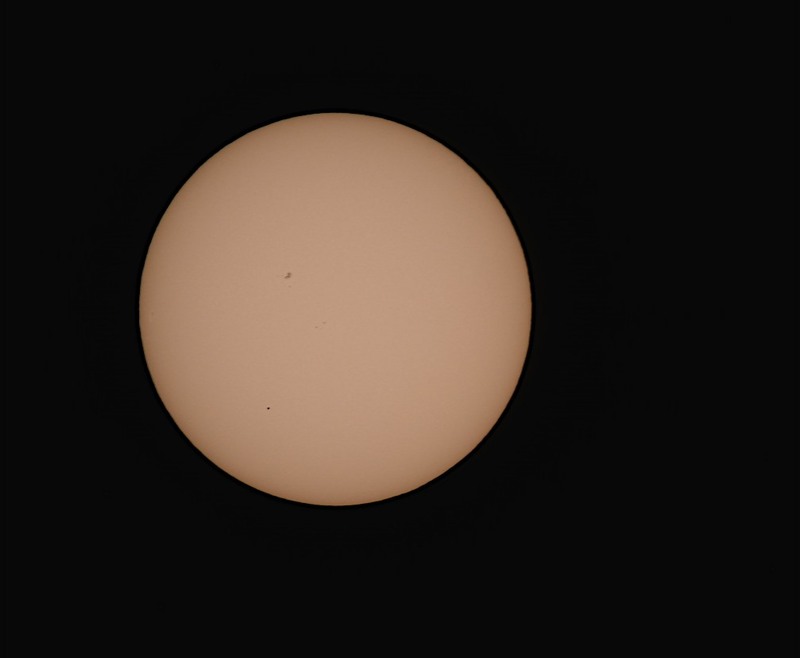 (Sunspots are visible above.) Image at about 600 mm f 6.3, 1/400 sec, hand held. oK, i’ve been remiss with my image pro cessing and camera pointing skills. Are you implying that you simply point and shoot at the sun? No smoked glass filter, black garbage bag, burnt out sensors or melted optics? I’m charging my batts now, so quiick, stop me before I shoot again! ( I was trying to build s pin-hole box, but the mercury kept running out of the cracks. I thought it was tonight! I missed the whole thing!!! Ah, I was wondering about that . . . I think solar filters are not the same and a few steps above 10 ND filters. That’s what I remember . . .
. . . wait! This just in: Solar Filters are the equivalent of 13 or 14 stops or 0.01% light transmission.